One of the great disappointments in the ministry of the apostle Paul was the abandonment of the gospel by the Galatian churches. Throughout that New Testament letter, Paul agonized over the ignorance and distortion of the most basic aspects of what it means to be accepted by God. Every age has had to struggle with a similar problem, and ours is no different. Since there is nothing more important to any human being than the good news of our salvation, it is essential that all Christians have a firm grasp of what we have been given through Jesus Christ. 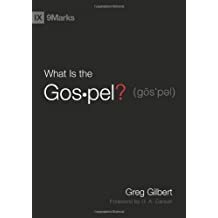 Thankfully, Greg Gilbert has written a short, but thorough book that explains the gospel and enables the Christian to recognize distortions and clearly share the truth with others. I highly recommend this work to refresh our understanding and appreciation of the good news we have in Christ. I wanted to recommend A Scandalous Freedom as a companion to our current sermon series through Galatians. It speaks loudly to those who often feel overwhelmed with a sense of guilt, trying desperately to relieve their conscience by doing more work to please God. Although the author writes in a very humorous manner, his subject matter is serious. Knowing that personal scruples can turn the Christian life into a prison, the author invites his readers to experience the freedom for which we are redeemed in Christ. 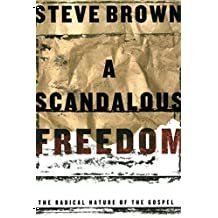 For some, liberty from rules and regulations might seem dangerous, but Brown points out that it is only by learning to live free that we can truly enjoy our God and delight in His marvelous grace. I have found this book helpful in my own life, and I recommend it to anyone wishing to experience the joy of the Lord. By any standard, Abraham Kuyper was a giant of the Reformed faith and the national life of Holland during the second half of the nineteenth and into the twentieth centuries. Like most of Europe, the Dutch society into which Abraham Kuyper was born had been greatly affected by the Enlightenment and the French Revolution. Seeing these as destructive influences on both church and state, Kuyper sought to implement a Calvinistic worldview that would stand against a purely humanistic philosophy. As a man of great intellect, organizational leadership, and remarkable energy, Kuyper brought his numerous abilities to bear as a pastor, theologian, author, editor, and politician. During his lifetime, he helped to merge two Reformed denominations as a bulwark against liberalism in the church. He also stood for political office, rising to the position of Prime Minister of the Netherlands, and he founded the Free University of Amsterdam. 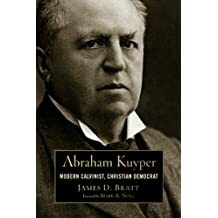 In this book, James Bratt does an excellent job of tying together the many periods and influences of Kuyper’s life and work. In doing so, he avoids both glamorizing and demonizing Kuyper. Bratt gives us a picture of a man of his time whose ideas and decisions might seem misguided to many living in the 21st century. Yet, he was a person who also understood the damage of a godless philosophy to both church and state, and he was willing to use his talents to turn the tide for the glory of God. Although this work does become weighty at times, I recommend it for its historic content and also as an aid in understanding the continuing debate of the place of the Church in the life of the nation in which it exists.